​'A bad workman blames his tools'. We've all heard that one when we look to upgrade equipment in life. I always like to tell the naysayers 'a master craftsman knows when they need replacing'. Now you might not be a master craftsman just yet, but maybe you're upgrading from a set that doesn't suit you or a used set your buddy gave you from his dad's garage. Maybe you're looking for something a little more forgiving to get that confidence back up by hitting some greens! Whatever your situation, it's an exciting adventure and finding that set of irons that gives you an extra club in distance or the confidence to have a good whack at the ball is so rewarding. If you're looking for the most forgiving irons, keep reading below. When should you buy new clubs? Getting a new set of clubs is one of the best investments you can make in yourself as a golfer. The clubs nowadays have been designed to make golf easier and more fun without any stress when you're standing over the ball. Get a new set of clubs when you feel your clubs are holding you back. The difference will be amazing when you hit that ball and think you've hit it badly but it still gets to the green! If you're a beginner golfer, another option is to investigate getting a complete set of golf clubs. It's practically impossible to hit a bad shot with these clubs. They're a hybrid style set that have massive sweet spots and only know one direction: STRAIGHT. 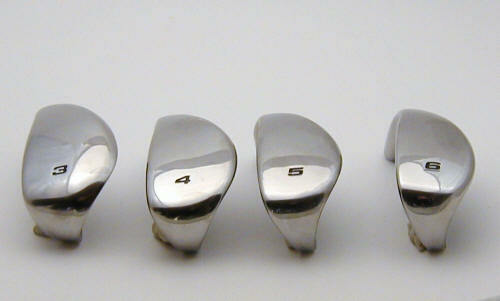 A perfect set for you if you struggle to hit high handsome iron shots as a mid to high handicapper. What makes the most forgiving irons? The basic idea is to find the easiest clubs to hit and cavity backs are the right choice. Where are the 3 and 4 irons? These are incredibly difficult to hit and I've found some fairway woods and hybrids to replace them to make your set the most forgiving irons possible. Taylormade have gone the extra mile with the M2 Super Game Improvement irons. They’ve created a hollow Speed Pocket behind the face to make the face flex and give you more distance anywhere you hit it on the face. The sweet spot is so wide; it extends almost the entire groove area so when you mishit the ball it still goes a long way and straight as an arrow..
Taylormade's M2 set has been specially designed to increase the height of your shots. The short irons get up quickly and mid irons are so forgiving, you'll think they're wedges. With that increase in height, the ball comes down soft to stay on the green and give you more birdie and par putts. Balls launch high when you hit them and the wide soles help to get under the ball especially in deep rough to get your golf ball moving toward the green and out of the weeds. The heavy perimeter weighting means you can swing it and trust the club to do the work for you. There's no stress wondering what's going to happen next. Taylormade has designed the M2 iron set with forgiveness in mind. They're extremely accurate irons and with the offset hosel, cavity back design, they tick all our boxes. I recommend the 5 iron to PW or the 4 iron to PW set as one of the most forgiving irons today. Bargain as they are 2 or 3 models old! The new M6 iron set from Taylormade have a large sweet spot and very forgiving on both toe and heel mishits make these clubs a mid- and low-handicappers dream. The extra forgiveness away from the sweet spot is from the slots cut out in the sole of the club. The face is connected to rest of the club by the top line so that it actually performs similar to a fairway wood face. With a floating face, that means bigger rebound and more distance. At address, the clubs look very strong and feedback from each shot is consistent with the clubs having a crisp reverberation at impact. For game improvement irons, they have a good degree of workability and so are even a good choice for players of mid to mid-low handicap players. These are great clubs to pair with one of the Taylormade hybrids to complete the set. Add a forgiving fairway wood to that and you'll have a set you can use for a long time. The M6s are a real go-to club for both good players and those looking to drastically improve their wayward approach game due to inconsistency with distance and direction. Honestly though, if you went for the previous models, the Taylormade M4's, would you be missing much? Probably not. The HB (Hi Bore) irons are the new Super Game Improvement clubs from Cleveland designed to help you hit more consistent shots with ease. We're talking straight to the target and way up in the air. They're almost impossible to mishit. It's not the first time Cleveland have produced these weird looking clubs. The older Cleveland Altitudes won over a lot of golfers with their extreme forgiveness and consistent ball flight. This style of progressive hybrid and iron combination set's really easy to hit and the only thing stopping most golfers from switching over to them is ego. A lot of golfers want to look like the pros with standard looking irons in their bag. But if you're struggling to get the ball to fly decent distances with standard irons, these clubs could revolutionize your entire golf experience. The set starts with a 4 iron shaped exactly like a hybrid and as the set progresses toward pitching wedge, the hybrid back of the club gets smaller until you can't see it on the pitching wedge. The thick sole created by the hybrid design of the irons makes them easy to hit out of any lie. It just can't be stated enough how easy they are to hit. Cleveland have colored the hybrid back of the irons black to calm down the appearance to give it a more streamlined look because it can be distracting if you're used to standard irons. Do yourself a favor and try these clubs. You might find they're the most forgiving irons you've ever hit. While the Cleveland Hi Bore irons in this guide might scare you because of the beginner-ish looks, Callaway took your exact worries and created the Callaway Rogue irons These clubs look good, like old-school-Ping-iron good. Even though they don't look like Max Game Improvement irons, they are. We all need help with hitting a golf ball and these fit the bill. If you need some help getting it in the air and keeping it there, the Rogue irons have been designed to solve that problem. They've also put urethane inside the wedges for a softer feel with a more muted sound. I highly recommend any set starting with 4 iron and ending in PW or SW depending if you own your own Sand Wedge. Check out my guide on the best sand wedges for bunkers. In the bag, you won't notice the huge cavity back and extra wide sole which makes your golf bag look more like a pro's and less like a handicap golfer. When swinging the club, you'll notice the extra weight in the sole gets more weight under and behind the ball for superior shots that fly high and far, landing softly at your target. Well struck shots sound pure to the ears and feedback from the clubface is sufficient to tell you when you've hit it flush and when you've mishit it. The best part for you is the mishit isn't going to be 30 yards short of a well struck shot. These clubs are forgiving, and give you maximum distance for your efforts. Can be a bit low spinning so better if you're playing onto big or soft greens. A lot of golfers might scoff at the idea of playing Wilson irons, but these are top notch quality golf clubs. The D in the name means Distance so expect the focal point of this club to be power and not finesse. The heads are nicely weighted so you can really feel the club head throughout the swing. This is an important feature of a club, to feel where the club head is through the swing. 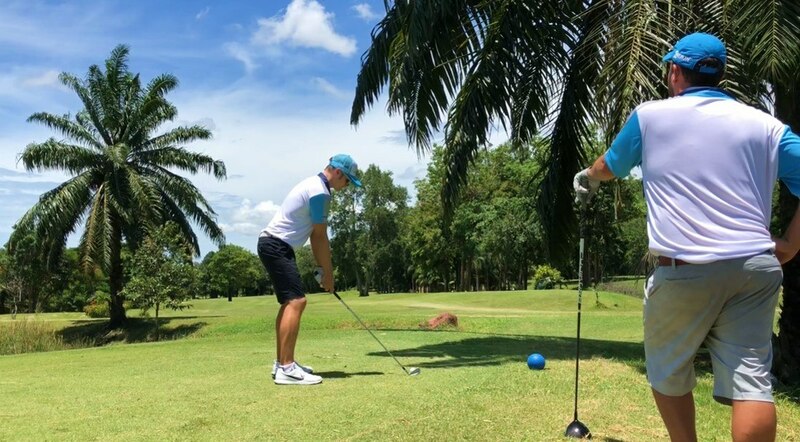 They offer great feel when you make contact with the ball with excellent control and forgiveness so you know the ball is going in the direction you intend. Picking the right ball to pair with these clubs will improve your game tremendously if you're a 13+ handicapper. It's easy to be convinced by all the marketing of the big brands but there are some value sleeper sets out there and this one made the list because the clubs are quality and can give most of these clubs in this category a run for the money. From an aesthetics point of view, I believe these Launcher CBX irons are the most beautiful in the category. They also added a nice touch of putting the lofts of your clubs on the sole. I like that. The lofts are stronger than most sets so you'll see an increase in distance. The stock shaft in the club is very light and allows you to generate quite a bit of clubhead speed which of course means more distance. Couple that with the fat top line of the club and it's like you're swinging Thor's hammer onto the ball. Longer irons in the set are setup with a dual shaped cavity back and strong looking top line meaning the focal point here is distance and power with less waywardness. The short clubs (8 iron and down) are designed for more precision and spin than 7 iron up. By including a cavity near the hosel of the club, Cleveland have moved the sweet spot more toward the center and toe of the club. As a toe-y ball striker, I like this feature. Overall, a beautiful looking club with a strong top line and sweet spot to give you forgiveness and make it easier to hit the sweet spot. A milled face with precision grooves mean you get the benefits of a game improvement iron without the loss of back spin usually associated with that. The King of edgy yet forgiving and playable clubs, Cobra continue aiming their offerings at the mid handicappers and higher handicappers. I didn't include the F9 Speedbacks in the list because they are good, but not much better than the F8 set. Save your cash and go for the F8 instead. The new distinctive shape stretches the low heel and toe area wider for a lower center of gravity to give you that extra forgiveness getting that ball airborne of the fairways. The grooves start off as a V shape in the long irons and that helps reduce the spin to get you more distance and roll while the shorter irons have a u shape groove to increase spin to give you more stopping power,. The reason they need to do this is because the club is just that forgiving that it may seem difficult to stop the ball in time with the stronger lofts and higher launch properties of the modern iron. Cobra Connect in the grips tracks your shot distances and your game using the Arccos system which is fantastic for your analysis. You will need to pay extra for that. The other great part of these clubs is they come in the ONE LENGTH variety which means every club is the length of a 7 iron. How simple is that? You stand the same distance from the ball on each shot just the lofts change in your set! I suggest the one length set for handicaps under 12 though. When you hit more greens and hit straighter shots with confidence, you're gonna enjoy golf. When you know where the ball is gonna go, you'll love golf. A set of forgiving irons designed for your skill level can get you there. Like with drivers and fairway woods, iron sets need to be very forgiving. It’s very common to miss the sweet spot quite often. 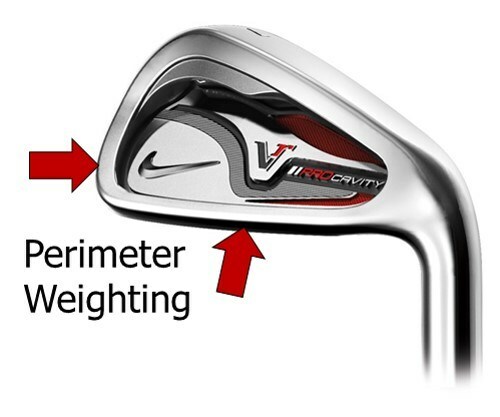 Forgiving irons are designed with huge sweet spots so even your mishits find the sweet spot! You still end up around the green on a mishit, instead of in the deep stuff or 40 yards short. Buying a set of irons is a big investment but the improvement in your game with a set of Max or Super Game Improvement irons will be dramatic. While your swing naturally develops, the game improvement irons you use will enhance your results by giving you extreme confidence regardless of how you’re swinging. What makes a set of irons forgiving? 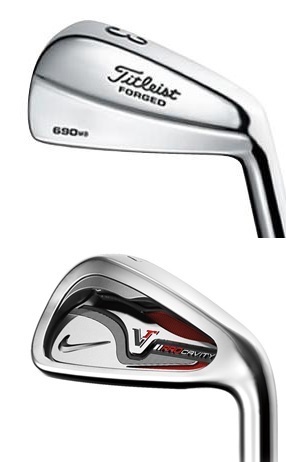 Two things: shafts and club head design create the most forgiving irons. There are two types of shaft in irons – steel and graphite. Graphite is very popular in drivers and hybrids. For irons, the extra weight offered by steel gives golfers a better “feel” than graphite. Graphite can help with distance and should be looked at if your swing speed is very low. The reduced weight of the shaft can help you pick up a few more mph in swing speed and with that, more distance. As a general rule, steel shafts are the best option for the vast majority of golfers and a Regular flex is going to be the best for most golfers based on swing speeds. It's always best to go get tested and get advice from a fitter or a local pro to truly maximize your purchase to your requirements. Cavity Back irons - this is what we are looking for and the most forgiving irons ever have all been cavity back. Cavity back irons usually have perimeter weighting, which is just a jargon term to mean they hollow out the back of a muscle back iron and put that spare metal around the border of the back of the club. The perimeter weighting thus adds more weight behind the ball on off-centre strikes. A muscle back iron the pros use has the majority of its weight mainly behind the TINY sweet spot. If you miss the sweet spot on a muscleback, the pain that shoots up the club into your fingers is stunning! The cavity back iron with perimeter weighting has a massive sweet spot for forgiveness. The wider sole lowers the clubs center of gravity which means more weight can get under and behind the golf ball on your shots. This produces an arching high ball flight even on mishits. The extra beef on the sole will improve shots where you hit the ground before the ball too. That extra weight will “bounce” off the ground instead of digging into the earth like a thin sole would. Additionally, newer golfers and high handicappers hit more balls in the rough and a wider sole will move through long or thick grass easily, allowing for good contact with the ball. The most forgiving irons out there will get you out of every lie: rough, sand, hard-pan and yes the fairways! 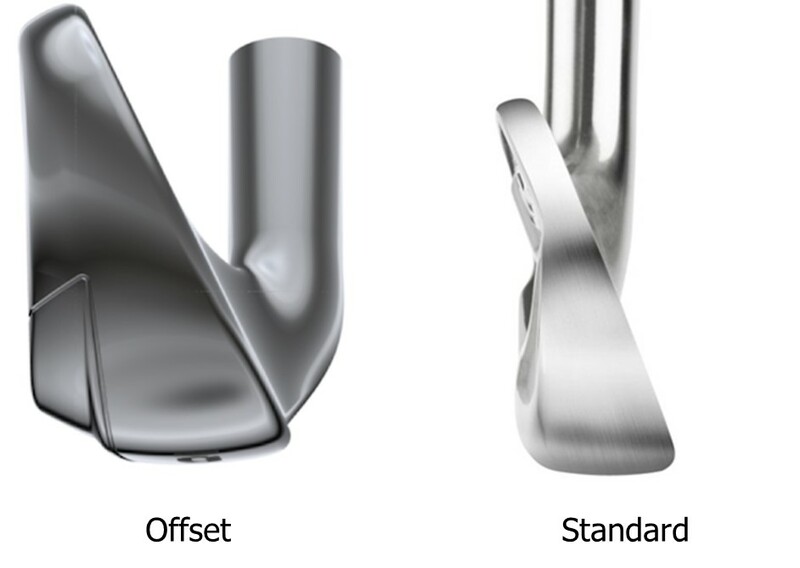 The most forgiving irons on the market are going to have offset hosels. The low handicappers playing blades or muscle backs have such skill to square the club face at impact, they don't need the offset. The offset encourages a draw and reduces workability of the club to hit fades. Highly skilled players want to hit the ball both ways. These are for low handicap and professional players. You'll get there one day but for now they wouldn't be a wise investment. It would be like starting a video game on Expert setting from the beginning. These 'Tour' clubs are not the most forgiving irons as you can imagine. To be honest, i am using TaylorMade M2 Irons and oh boy!!! the forgiveness of this club is pure class. An update on the new set of M4’s that I bought earlier this year. I made certain that the clubs were fitted which meant a change in lie (up 2deg) and an increase in length of 0.5in. Certainly being fitted made a huge difference immediately but the M4’s give a great sense of confidence in hand. Big sweet spot and very forgiving on both toe and heel mishits make these clubs a mid-handicappers dream. The clubs also look nicely aggressive at address with the graduated offset very natural. There is very good feedback from each shot and the clubs have a good, crisp resonance on contact. The clubs also have a good degree of workability and so are a good choice for players of most levels. I cannot comment on the stock grips as I needed new grips to fit my big mitts but certainly the M4’s have an encouraging balance which promotes a better swing. I coupled 5-SW irons with a 17deg M4 hybrid which is super out of those gnarly rough situations as well as being perfect off good fairway lies. The hybrid has a touch of draw bias and feels very positive in hand. Summary is that the M4’s are a real go to club for both good players and those looking to improve their game. Now all I need is a swing to match the sticks.